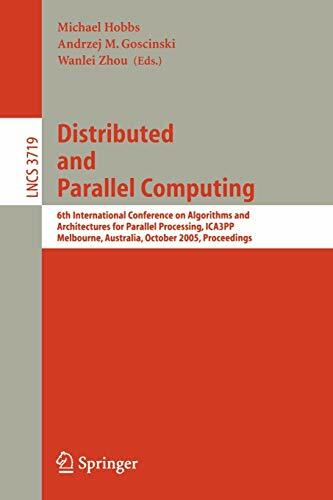 This book constitutes the refereed proceedings of the 6th International Conference on Algorithms and Architectures for Parallel Processing, ICA3PP 2005, held in Melbourne, Australia in October 2005. The 27 revised full papers and 25 revised short papers presented were carefully reviewed and selected from 95 submissions. The book covers new architectures of parallel and distributed systems, new system management facilities, and new application algorithms with special focus on two broad areas of parallel and distributed computing, i.e., architectures, algorithms and networks, and systems and applications.